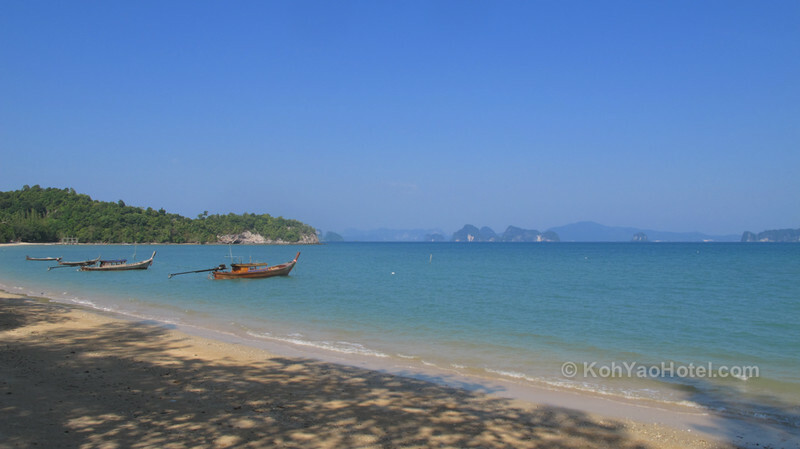 One of Koh Yao Noi’s main beaches, Pasai Beach is a quiet strip of sand about 2 kilometres long, with the near-deserted tarmac road running directly parallel with it. The beach is below the road level – there’s a metre high sea wall which drops down to the beach, with access through wooden stairs placed against. The beach itself is a pleasant crescent of sand, fringed by palm trees and hills all around it. As with everywhere else in Koh Yao, it is very pretty and natural feeling, with any development set way back from the beach itself. There is nothing on the beach itself apart from the occasional parked fishing boat – no sun loungers, hawkers, and very few tourists either. 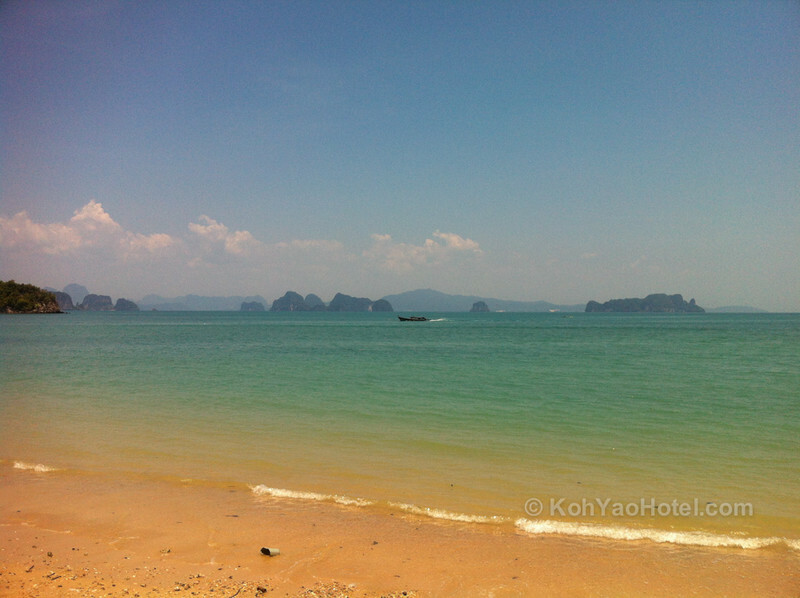 As with all the beaches on Koh Yao, Pasai Beach is not that spectacular, but it’s nice enough. If the squeakiness and whiteness of the sand is a concern for you, Pasai Beach might be disappointing. However, the spectacular views do make up for it. Gathered at the southern end of Pasai beach along the top of the seawall are several Thai food sellers, some preparing food in small wooden shacks and others with portable food carts. These are all under the shade of large trees, making it a great place to stop and enjoy the seaview without getting too hot. 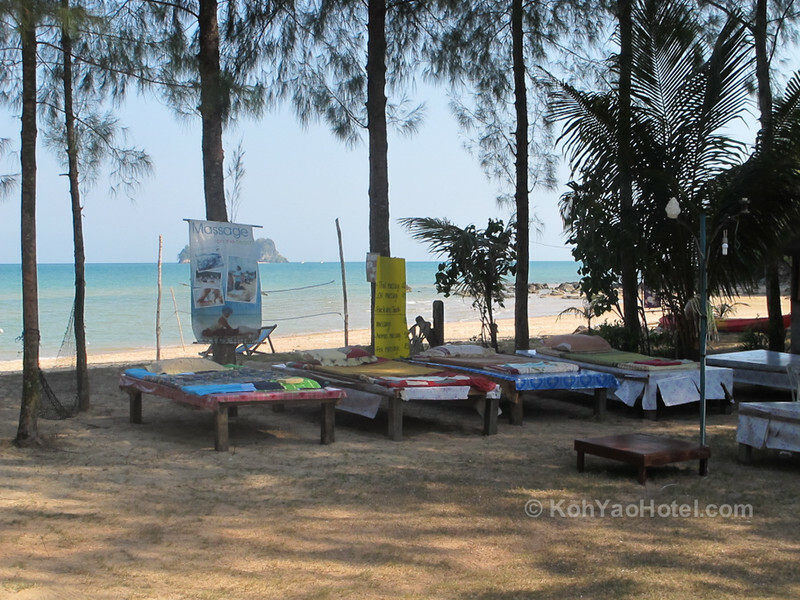 There’s also some Thai massage tables here so you can get your back fixed while listening to the waves. On the other side of the road are several more restaurants and resorts. 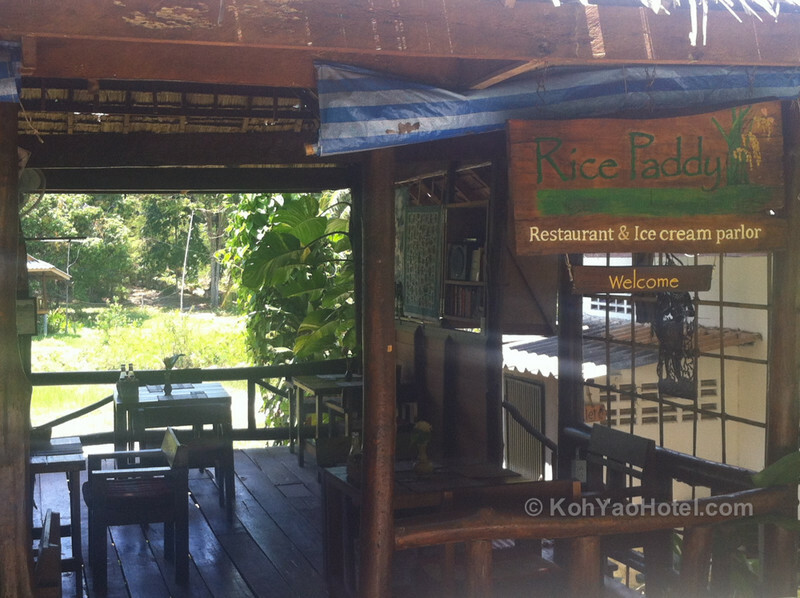 At the southern end, just off the beach up the hill into the jungle is Rice Paddy, a quaint wooden restaurant overlooking – surprise – a rice paddy. Their ice cream is great. 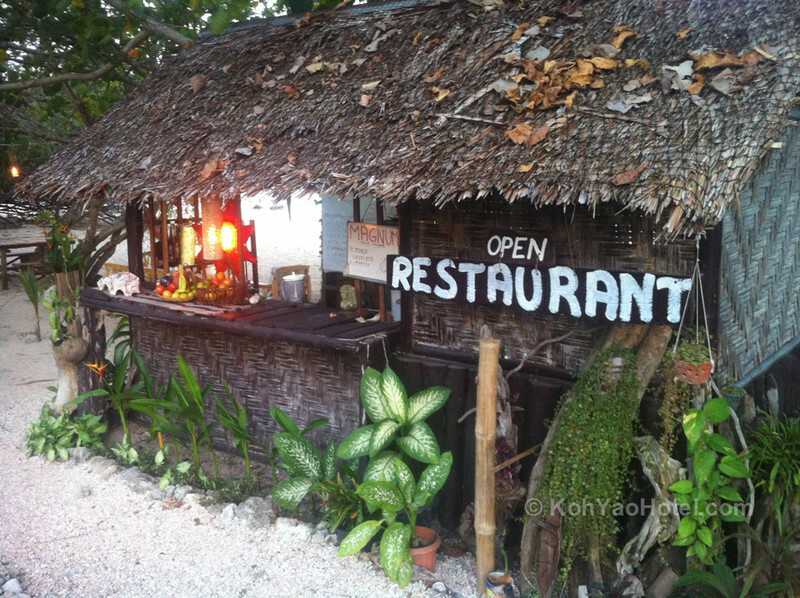 On the corner of the beach as you come down the hill from Rice Paddy is the Koh Yao Beach Bungalows resort with a lovely well-tended tropical garden. Further along is Chukit Dachanan resort, a basic but pleasant concrete bungalows and wooden bungalows sort of place and Pasai Cottages, even more basic wooden huts. 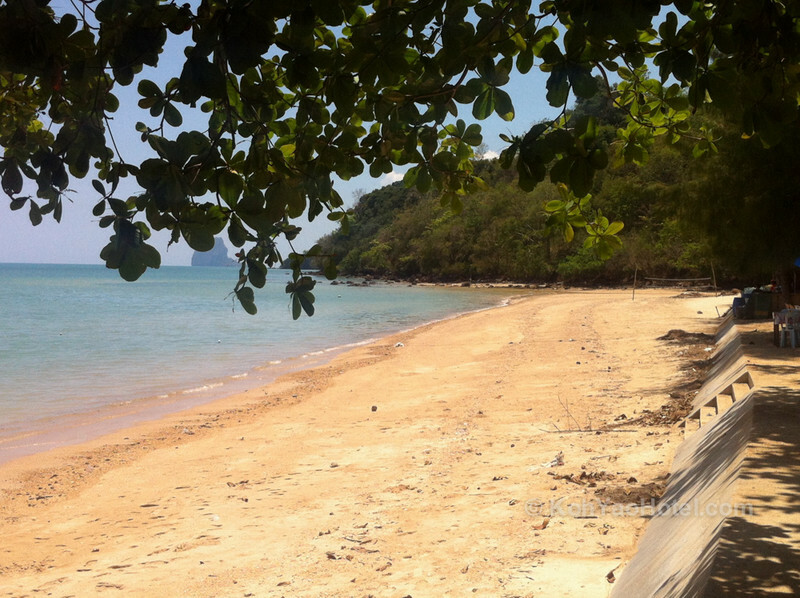 Our personal favourite place on Pasai Beach is the nameless beach bar at the northern end of Pasai Beach, a small wooden hut on the sand run by a friendly lady serving ice cold beers and some great food, both Thai and Western. There are a few chairs and sofas scattered on the sand with the trees providing a canopy overhead and a spectacular view out over the sea and the nighttime sky.